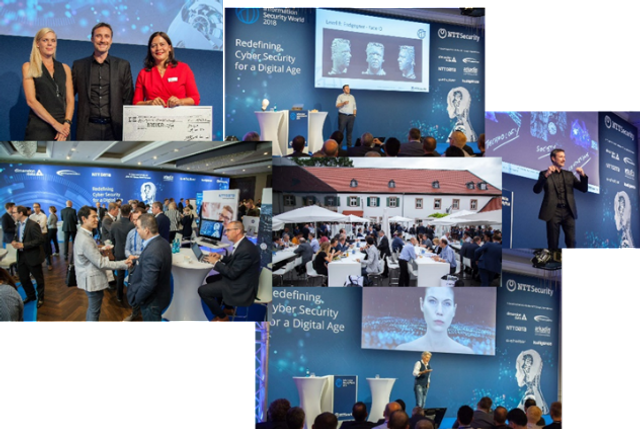 Last week was the final leg of the Information Security World (ISW) series “Redefining Cybersecurity for a Digital Age” held in Stockholm and one of four cybersecurity conferences held by NTT Security. I would like to take this opportunity to review this major theme and highlight some of the speakers that have provided insight and thought provoking presentations throughout. We kicked off with our very first ISW in France and, despite a very bad storm in Paris mimicking the perfect storm for cyber, it set the trend of thought provoking presentations. This was followed by our well established and very successful ISW in Germany which attracted over 500 attendees and gained fantastic feedback (see our video highlights here). We covered topics such as moving applications to the cloud, securing APIs, and blockchain with extensive reporting from Enterprise Times as well as fascinating keynotes from Google’s Maya Kaczorowski and security guru Bruce Schneier. From here, we moved to the UK where Kai Grunwitz spoke about a “Society 5.0” – like the kind currently being developed in Japan where Symantec spoke about the work it is doing on the pyschology of cybersecurity. One of the major themes at the UK event was collaboration and the need to share intelligence in particular. Futurist and author Richard Watson also joined in to talk about scenario planning for a digital world, as did cave diver John Volanthen also discussed incident response. Our final leg was in the wonderful city of Stockholm, again with some very compelling and interesting speakers on a range of topics including threat detection, IoT and AI. But one quote stood out from the rest: “I don’t like working with things you can delete”. It caught my attention...in today’s digital world, it is even more important to ensure that security is embedded into our digital transformation initiatives. We are increasingly reliant on digital platforms to run our businesses and personal lives. With the recent breaches affecting British Airways and Facebook, it makes it even more apparent that our digital footprint is at constant risk. I have previously blogged about how digital transformation has certainly made my life more entertaining and easier when I travel. Our Risk:Value Report indicates that the majority of business don’t have an incident response plan and, if they do, many haven’t tested it. This exposes our digital identity to the possibility of manipulation or even deletion. Where once financial services were the primary targets, now our digital lives are at risk wherever we store personal information. Our monthly Global Threat Intelligence Report reflects the constant change of attack and threats that face organizations. We need to ensure that we all protect the information that is stored digitally and respect the rights of the individual as laid out in General Data Protection Regulation. We have to be able to trust the digital world and this requires a different approach to ensure that vulnerabilities that will always be in our systems aren’t exposed and proactive measures are in place to protect not only businesses but individuals who are embracing the huge potential of digital transformation. NTT Security’s ISW events are held each year and attract industry experts and keynotes that we can all take inspiration from. I hope you’ll join us in 2019. ISW is a well-established annual cyber security conference and expo held by NTT Security. At ISW we welcome CIOs, CISOs, Heads of IT Security and IT Managers from all industries.